Is Tooth Loss a Dental Emergency? How long does it take for braces to correct your smile? On average, treatment takes between 18 months to 2 years. However, there is another treatment option, Fastbraces®, that can improve alignment in as a year. 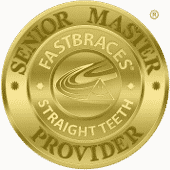 Do you have questions about Fastbraces?